There's a lot of strong contenders for the most beautiful beaches in Greece, and Sarakiniko Beach Milos is one of them. 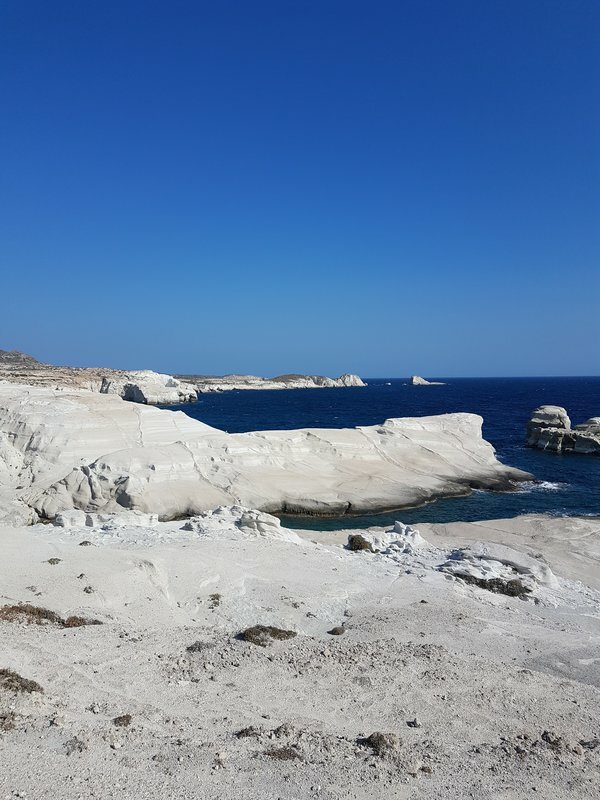 Its unique, almost lunar landscape makes it instantly recognisable, and it's a ‘must see' when visiting the Greek island of Milos. 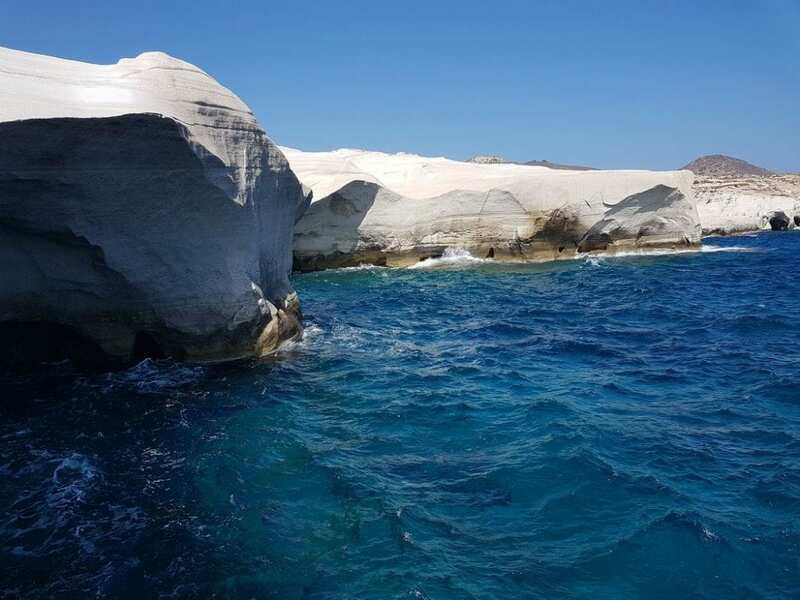 Read on to find out more about Sarakiniko, Milos. If there's one beach that everyone wants to visit when spending time on the Greek island of Milos, it's Sarakiniko Beach. Made famous because of its unique white landscape that has an almost lunar quality, it's certainly beautiful, but is it one of the best beaches in Milos? That's a tricky question to answer! Sure, Sarakiniko is an incredibly photogenic beach, and taking photos here is going to look GREAT on your Instagram! And of course, you can't possibly visit this Cycladic island without spending at least some time on the famous Milos white beach. But make it the focus of your vacation to Milos? No, I don't think so. Good question! If you're a regular reader of the travel blog, you'll know that I have been living in Greece a few years now. You'll also know that I've written a number of guides to Greece, including this useful Milos travel guide. If you weren't a regular reader, well, now you know! I've got an honest approach to the places I write about, which I hope helps you to plan the best vacation to Greece possible. 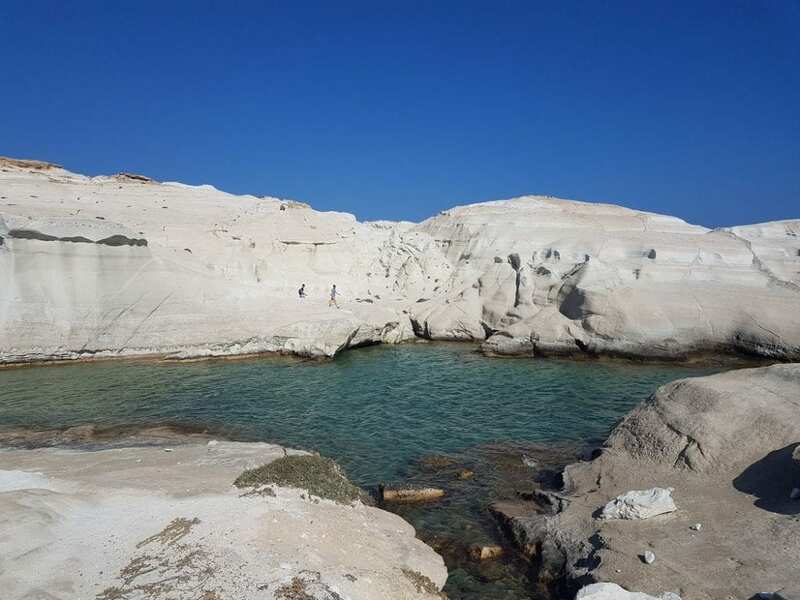 As such, take a little time to read this guide to Sarakiniko Milos. It might help you plan your time better when visiting this beautiful Greek island! After spending a week on Milos, I can confidently tell you that Sarakiniko is one of the most beautiful beaches on the island, but not the best beach. 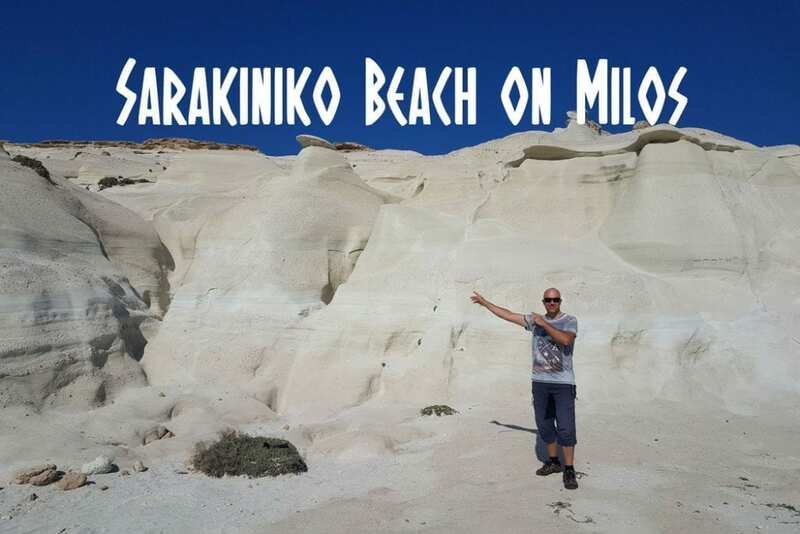 As such, I personally wouldn't want to spend the entire day at Sarakiniko, especially when Milos has some many other great beaches to relax on! Arrive early – Like REALLY early if you want to see Sarakiniko Beach without a lot of people. Even 09.00 might be leaving it too late. There's not much shade – I spotted 2 trees in a tiny sandy area. If you are determined to spend the whole day on Sarakiniko Beach, you want a sun umbrella. Quite how you set it up with no sand to put it into is a challenge you will face on the day! The white rock beach of Sarakiniko is extremely reflective. Sunglasses and mega-doses of sunblock are essential! It gets crowded quickly. In August, the beach resembles the human equivalent of seal colony! Take plenty of water – When I visited, there were no canteens or beach bars to buy drinks and snacks. In the peak of summer, no doubt some enterprising local may walk up and down selling water, but don't bank on it. Take what you think you'll need, and throw in another bottle just in case. The beach is easily accessible by vehicle, with no serious stretches of rough road unlike some other beaches in Milos. If you don't have your own vehicle, then a local bus service picks up and drops off a couple of times a day. Ask you hotel for up to date information. You definitely have to visit Sarakiniko when in Milos! Planning to spend the entire day there though is probably not your best option. 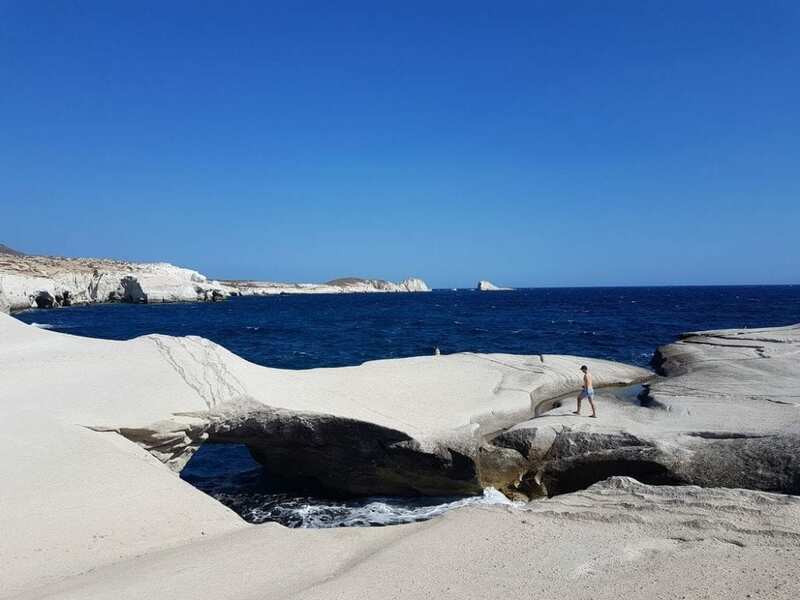 Instead, plan to arrive at Sarakiniko Beach Milos early, take your photos, perhaps spend a couple of hours there, but then get ready to move on when the tourist crowds start to build up. I hope that helps! 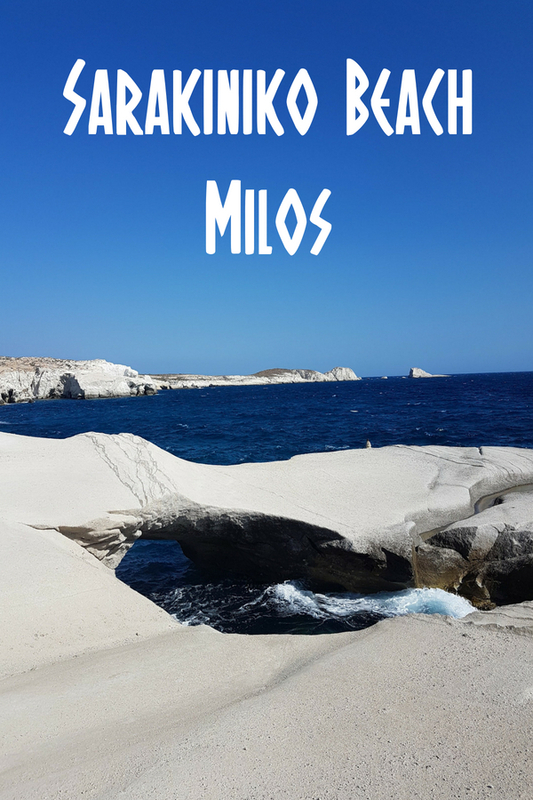 If you want to check out Kleftiko Beach, which is the other iconic beach on Milos, take a look at my post about a Milos boat tour. Planning to visit Greece? Why not sign up for my free travel guides? They will help you plan itineraries for the popular destinations of Athens, Santorini and more. Use the link below to sign up.